Los Vientos replaces under utilized industrial parcels and helps to revitalize Barrio Logan. The development is located on two parcels of 1.04 acres. 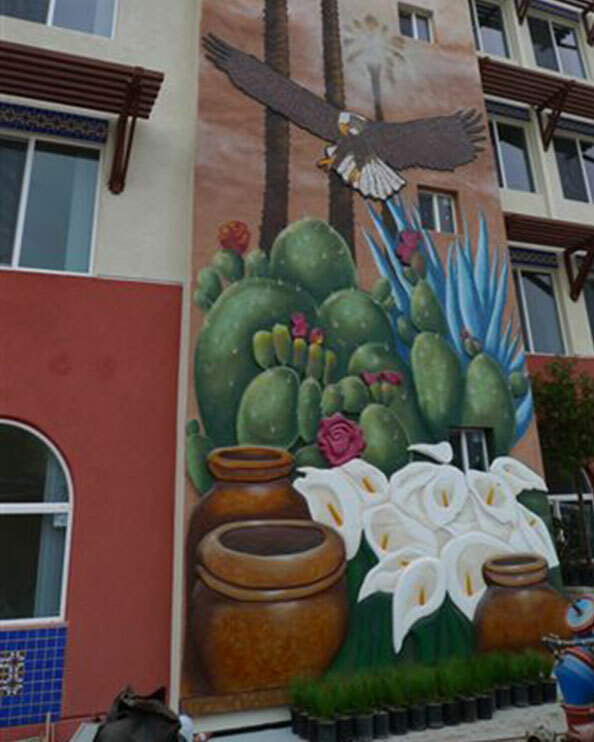 It consists of two buildings with 89 affordable family units of 2-4 bedrooms. Construction is made up of four levels of Type V wood construction over Type I concrete underground parking. The Design is Title 24 +15% energy efficiency. Amenities include a children’s play area in the courtyard, outdoor barbecue area, and 1,400 s.f. community clubhouse with a computer lab. 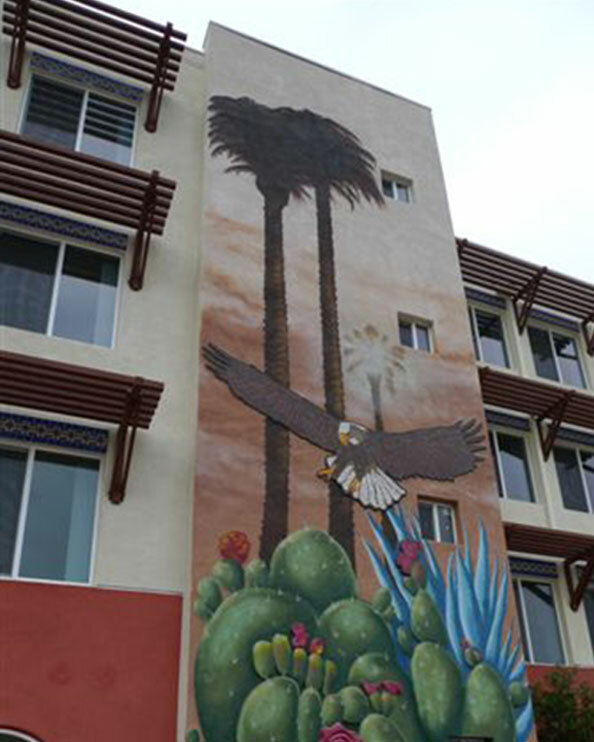 The project was partially financed with Low Income Housing Tax Credits and City of San Diego Redevelopment Agency funds.